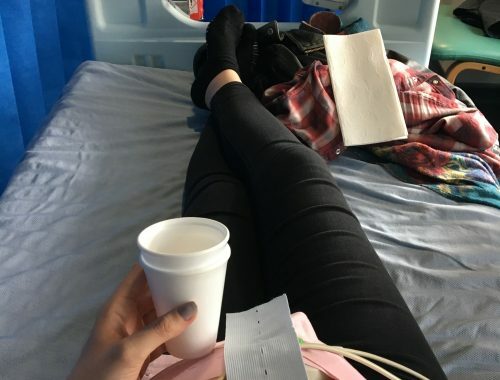 This year has the added joy and challenge of ‘pregnancy after loss at Christmas’, which is not quite the same as ‘pregnancy before loss at Christmas’; and I can remember the latter so vividly since it was just one year ago. Last year there were lots of conversations about how different next Christmas would be, how special, how I should make the most of getting presents just for me since this would be the last year it would happen. Yet now all I really want for Christmas is for Orla to have lived – and for this baby to make it safely into the world. So how do you marry a time of intense sadness with a time of anxious hope at Christmas? 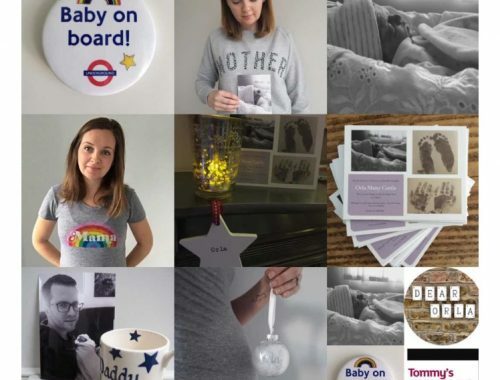 How do you honour and include the baby you have lost as well as the baby you hope will be in your arms? In reality, I think there is no real answer to this and no right or wrong. We’re just trying to fumble and find the way that’s right for us. 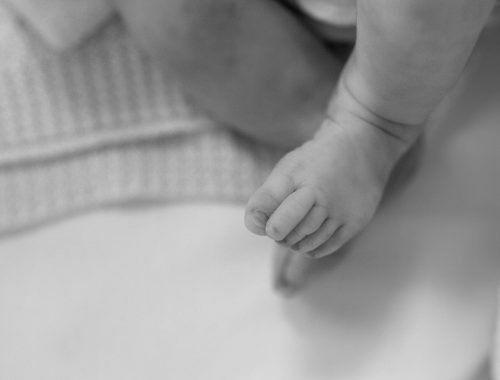 When I focus on Orla, I feel fearful of neglecting the baby that I am carrying; yet when I focus on this baby I worry that Orla is being forgotten. But maybe there is no perfect balance and I should try to give up on achieving this ideal which is likely to be impossible. This year we will spend Christmas Day alone. That way there is no pressure to be happy, to join in with games, to be positive and hopeful. We won’t have to watch others opening presents knowing that Orla should be doing the same. We can eat, sleep and cry when we want. And we can think and talk about Orla all day. The day will still be Christmas with all the food, music and movies. There will even be moments of happiness and laughter; but it will be our version and that will be wherever our hearts take us. This year will predominantly be about celebrating Orla’s first Christmas. It is our first Christmas as parents, although we are parenting in a way that we never anticipated. 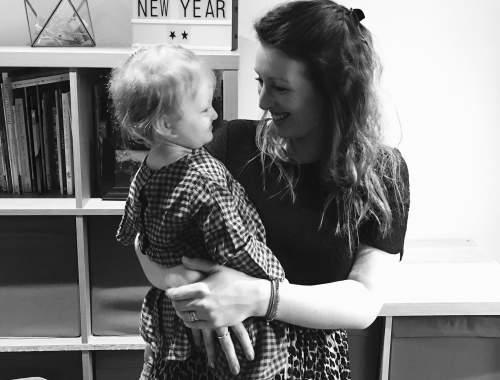 This isn’t about focusing on the past or dwelling on the sadness – this is about honouring the year that is all about, and all for, our first-born child. We hope more than anything that the baby I am carrying will be with us next Christmas, and for many Christmases beyond. So, we feel that this is our opportunity to solely concentrate on remembering Orla. There will be no special festive bump outfits and no baby related gifts. No assumptions will be made that ‘next year will be different’. We live in hope, but this is tentative and fragile and no amount of verbal reassurance will change this. We understand why people want to say ‘you’ll be fine this time’, as no one wants to see someone they care about in distress, particularly at this time of year. But in reality, I find it so much more validating when someone just says ‘it’s understandable that you feel that way’ or ‘I can imagine why it might be hard for you this Christmas’, rather than trying to look only at the positives. I won’t be attending any Christmas parties. There are many reasons for this, not just because being the only stone cold sober person again is not entirely thrilling! But the truth is that I feel vulnerable. 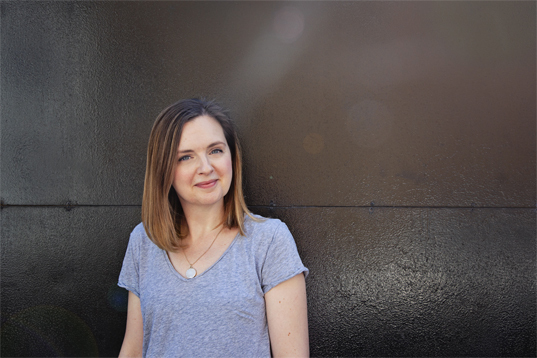 Being pregnant after loss and out in busy places full of enthusiastic party goers is unsettling. In addition, the decreased inhibitions of others increases the likelihood that something hurtful may be said in complete innocence. Therefore, I feel it’s better to spare everyone of this risk. As and when we can, we will include our growing bump in our celebrations. One regret I do have is that I didn’t take enough photos of my pregnancy with Orla, so this is something that I hope to do differently this time around. 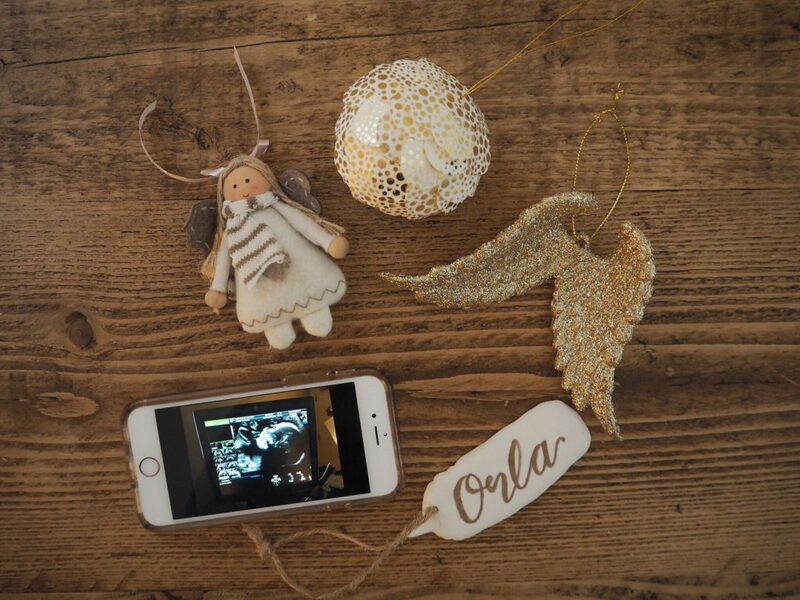 We have lots of special Orla related decorations around the house, so we will feature her baby brother or sister in photos of these special items. Being pregnant again at Christmas, there are things that I would really love other people to know. Sometimes I wish people could just read my mind, but I appreciate that this isn’t possible and that I need to do my best to communicate my needs or requests, even when this feels impossible. This isn’t an exhaustive list, but certainly these are things that I have found challenging in the lead up to Christmas so far. If you do send us a Christmas card, please acknowledge Orla – address it to her, say that you are thinking of her, just please recognise her existence. Particularly if you also acknowledge our growing bump, since there is something uniquely painful about a live baby being seemingly prioritised over a baby that has died (even if this is not the intention). Please don’t say ‘things will be different next year’ in relation to us hopefully having a baby at home next Christmas. We said this so much last year and it is painful to be reminded of how naïve we were and how fragile and unpredictable life can be. This isn’t us being pessimistic – this is the reality of life after loss. Please don’t say ‘at least you’re pregnant again’. It is true that we feel overwhelmingly grateful to be pregnant again so soon and know that we are incredibly lucky. This pregnancy gives us a glimmer of hope and some light at the end of a very dark 2016 tunnel. 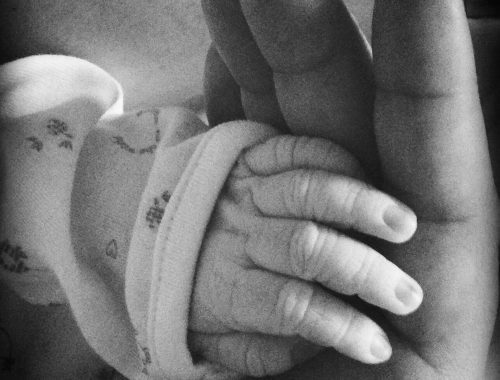 But any sentence that begins with ‘at least…..’ feels as though the pain of losing Orla is being diminished. The tentative anticipation we have does not outweigh the heaviness in our heart on what should be Orla’s first Christmas. If you would have bought Orla a present if she were with us, we would love it if you donated this to her ‘in memory of’ donation page, or to donate the gift to a scheme for children and babies in need. Acts such as this help us to feel that Orla continues to be worth as much to others now as she would have been in life. Please respect our decision to opt out of certain celebrations. Don’t try to persuade us that we will ‘enjoy them if we try’ or make false excuses to others as to why we haven’t attended. We are not shunning Christmas completely, but need to do it in our own way. And I believe that it is better that people understand the reason for this as this helps spread awareness of the challenges that so many people face after losing your baby. Celebrate with us when we can and be compassionate and understanding when we can’t. 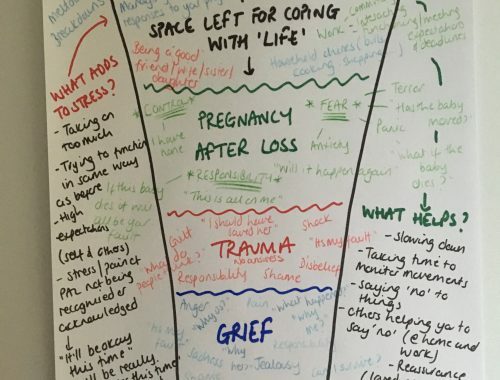 Ride the waves of grief and anxiety of pregnancy after loss with us, and know that we are trying the best that we can to manage a very difficult time of year. It isn’t all sadness and pain and we have so much to celebrate and be thankful for, including the love and joy that Orla and our second baby brings to our lives.